In April, Brooklyn Nine-Nine’s Chelsea Peretti and Key & Peele’s Jordan Peele did what many people in love have done before. They eloped. Thanks to the surprise and both of their celebrity, their elopement, something that is usually purposefully private, was rather public. Or maybe it was partially because instead of running off to a courthouse, they had flowers, a dress and tuxedo, and professional photographs. The only witness was their dog — that is, if you don’t count the thousands of followers with whom they shared the news via Instagram. They might be famous, but they aren’t alone. This wedding-elopement hybrid known as a “professional elopement” has become popular among couples who want to save themselves money and time while still making their marriages a special (and shareable!) occasion. They still want wedding cakes, decorations and bouquets. But while some couples create large guest lists so others can witness the fruits of these labors, turns out that social media means that you can achieve this without inviting a single person. 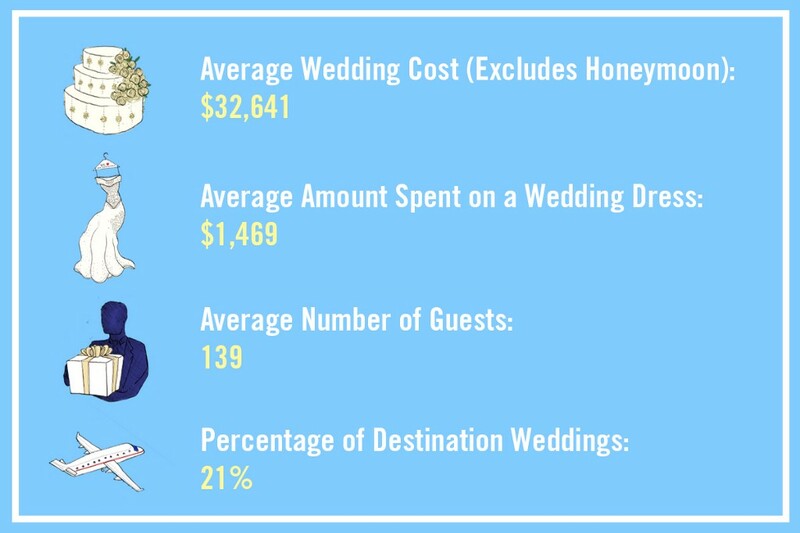 While working as an innkeeper in Mendocino, California, Vanna Freeberg met two types of people who were there for destination elopements: millennial couples who wanted to save money and divorcees who didn’t want to make their friends and relatives sit through another big wedding. For them, she started Elope Mendocino, which provides everything from a beautiful setting (that would be Mendocino) to flowers to wedding cakes for couples who want to elope (or just hold very, very small ceremonies). While many wedding businesses typically push for more invitees and more add-ons, as these are the things that make them money, Freeberg prefers the personalization and lower-stress planning elopements allow. “Dinner and the bar, the reception, the music, the decorations. the heaters, the porta potties — I don’t want to do that,” she said. Jen Campbell, creator of the wedding blog Green Wedding Shoes (“I love showing couples how their wedding can be all about them and that it’s ok to break traditions to make the day their own,” she writes in the “About Me” section), has noticed the same thing. Over the past two years, more and more eloping couples have asked to be featured on her blog: “Some of our most popular and liked photos on Instagram are from elopements in a unique spot — on top of a mountain, in a river, in the middle of the desert,” she said. Places where big, traditional weddings with lots of guests couldn’t happen. One of the most frequently shared photos on the blog, in fact, is of a couple eloping in Seattle’s Cascade mountain range. Laura, the bride, writes: “We both have a ton of friends and family members and knew we would be distracted from one another on our wedding day if we invited everyone, so we decided to go a more selfish route and make things completely about us… I am SO glad we did.” It was just her, her future husband, an officiant and, apparently, a videographer. You can bet she shared their wedding video on Facebook. Eloping used to be, by definition, an event held out of the public eye. In fact, people would often elope to escape the disapproval of their parents. But now, thanks to social media, your very private elopement can still go viral. In fact, this is one reason why couples turn to professional elopements rather than weddings. You can have virtual ones for no money and less hassle. Social media spared Jenna Pilant, an upholstery artist and blogger from San Diego, the job of telling her loved ones she was getting married. She and her husband announced their elopement, which took place in a gazebo outside the San Diego administrative building, over Instagram. The surprise announcement made it public, but since nobody knew in advance that the two were even engaged, others didn’t have the chance to opine on anything. Ironically, though, when people gain total control over their marriages, they can become even more meticulous about them, which is why professional elopements have spawned such a booming industry. In fact, it’s often because couples care so much about the image they craft that they don’t want anyone else to intercede. Whether for their social media followers or their own aesthetic enjoyment, eloping couples can be just as fixated on decorations, photographs and other aspects of planning. Replacing real guests with virtual ones doesn’t make marriage less performative. When social media enters the equation, even people planning a highly personalized event might still want to take outsiders into consideration. Professional elopements reflect a strange time in history when few aspects of our lives are 100 percent private. They’ve become much like meals: sure, other people don’t get a say, but they do get to “like” and comment on them as much as they want afterward (and that’s part of the fun.) And just as people might position their sandwiches on their plates a little differently when they’re planning to ‘gram them, they also might wear nicer wedding gowns and tuxedos than they would if their elopements were completely private. Elopers may not accommodate others’ wishes for their parties and ceremonies, but they are still often thinking about people will see afterward. Elopements may no longer let newlyweds quietly slip under the radar, but that’s not what modern-day couples are after. They want the public-private hybrid experience that characterizes so many aspects of our lives today. By presenting a new model of marriage that doesn’t require so much financial sacrifice, professional elopements are bringing the joy back into wedding planning, says Freeberg. Picking out the wines and shoes and flowers becomes a fun activity rather than another obligation. Other people may admire these touches afterward, but couples decide if and when to post them. Proverbially speaking, eloping couples are the tree that falls in the forest with nobody around to hear it — except they can make as loud a sound as they want. Suzannah Weiss is a writer, editor, and digital nomad whose work has appeared in The Washington Post, The Village Voice, Vice, Salon, Cosmopolitan, Glamour and elsewhere.